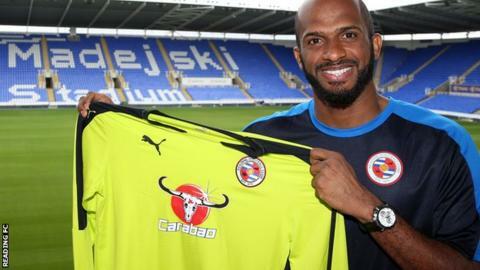 Goalkeeper Ali Al-Habsi has joined Reading on a two-year deal after he was released by Wigan. The 33-year-old had been training with the Royals with a view to securing a contract and played during their pre-season tour of Thailand last week. Oman international Al-Habsi was loaned to Brighton last season and also made 11 Championship appearances for Wigan. Meanwhile, 20-year-old defender Niall Keown has signed a new three-year contract with the club. Keown, the son of former Arsenal and England defender Martin, has made two appearances for the Championship club. On the signing of Al-Habsi, Royals boss Steve Clarke said: "Ali is exactly the type of experienced goalkeeper we need. "He has good knowledge of the English game both in the Championship and the Premier League. "He is a good shot stopper and has already impressed everyone with his abilities in the shooting sessions during training. "Alongside Jonathan Bond and Stuart Moore, Ali brings the goalkeeping department to a very good level." Al-Habsi spent five years at Wigan and has won more than 100 international caps.